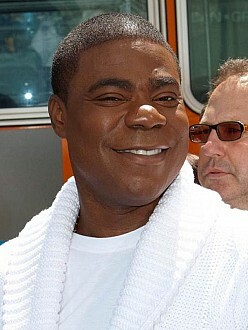 In a recent interview, Tracy Morgan admitted that he fears he’ll never be “normal” again. The comedian – who was left with a traumatic brain injury and a broken leg after a road accident in New Jersey in June 2014 – says the horrifying incident has changed his life forever. Tracy – who has two-year-old daughter Maven with wife Megan Woolover – has learned to live every day to the max. Tracy will be performing at The Laugh Shop in Calgary on January 7, 8, and 9, 2016, and we have tickets to see him on the 9th. Really looking forward to seeing this very, very funny man! !